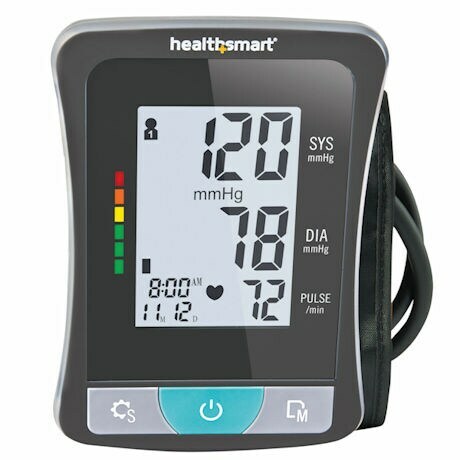 HealthSmart's Premium Series, Digital Blood Pressure Monitor provides clinically accurate blood pressure readings and displays them on a high contrast screen designed to be easy to read. 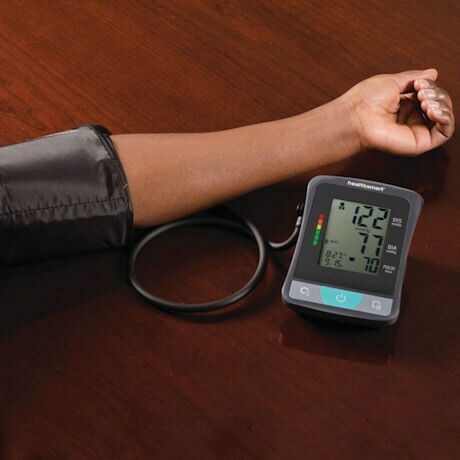 This premium quality wrist unit uses Heart Spot Technology to make sure that you have the monitor in the correct spot to guarantee clinically accurate readings each time. 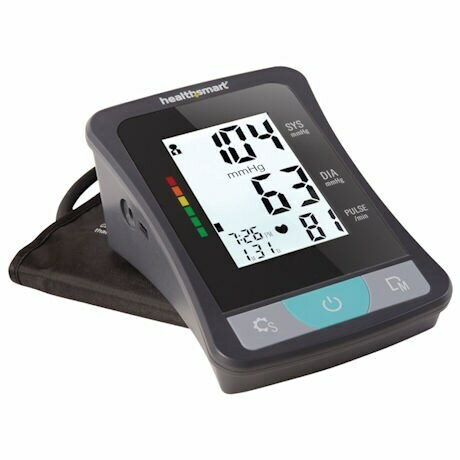 This unit automatically archives and dates up to sixty blood pressure/heart rate readings for two different users, so you and a spouse can share the same machine. 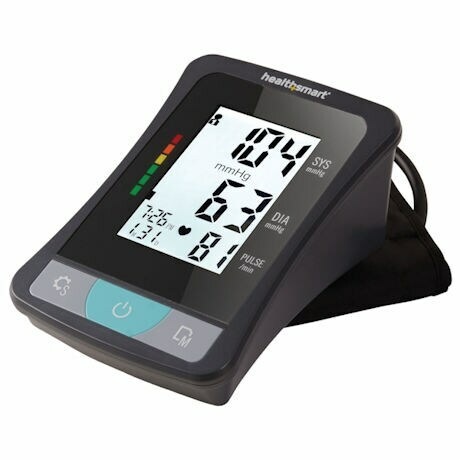 HealthSmart's Premium Series Digital Blood Pressure Monitor instantly averages your last three readings and compares them to World Health Organization standards, (shown in the Red, Yellow, Green scale), so you can benchmark your progress. 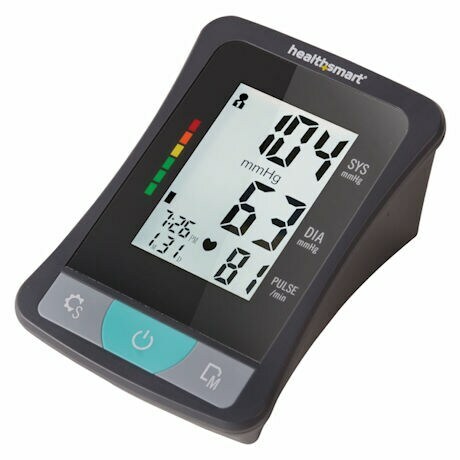 This unit probably has the highest visibility screen in history, so you'll easily see your results along with your heartrate. 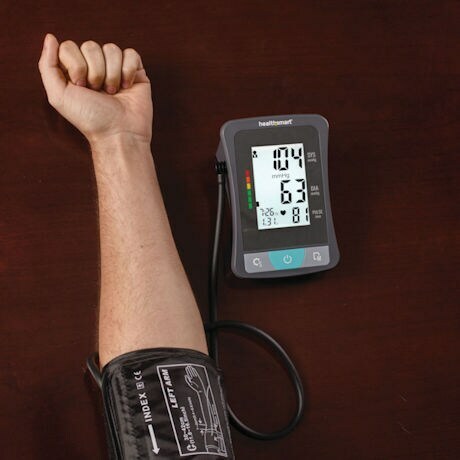 The HealthSmart® Select BP Monitor also has the ability to read your test results to you in English or Spanish, plus it immediately alerts you to any heartbeat irregularities. Wrist cuff fits wrists 5 ¼" to 8 ½". Two AA batteries and Case are included. Unit measures 3" x 2½" x 1 1/3".